You are here: Home › Cover Crop Challenges › Radish Smell › Types of Cover Crops › Radishes › Cover Crop Radishes…be a good neighbor! As I look at the forecast for Valentines week I see mid-4o’s on the way! Hallelujah! With many areas from Colorado to Virginia under ice or snow this will be a very welcomed relief. But with warmer temperatures on the way I think it’s important to “be a good neighbor”. We want our neighbors to be excited about us using cover crops, right? Well, when the radishes “start to a smellin'” we should make sure that the neighbors know what is going on. Also, let the local gas company, local fire department, local farm store, local grocer, local postal worker, etc…know that the smell that is emitting around your fields of radish is the smell of good stewardship! Click here to see that Radishes have many benefits! 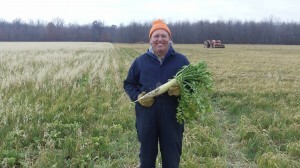 Radishes have great benefits and grow well with minimal water (as seen on Mike Werling's farm in 2010). However, when they start smelling bad, let the neighbors know what is going on...so they will "enjoy" the fact that you are doing great things for the soil and groundwater. The main challenge with Radishes is the odor they emit as freezing and thawing occurs. As good stewards we should consider using them…and being forthright with our neighbors. 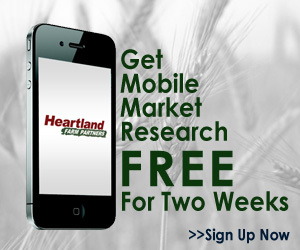 ← Cover Crop Meetings Galore! One Response to Cover Crop Radishes…be a good neighbor! for those that would like pics or more detials of why we are using sun hemp and tillage radish contact mace bauer, university of florida BMP implementation team leader at mbauer@ufl.edu.